The treatment of umpires by tennis players - and vice versa - has been a hot potato over the past month, ever since Serena Williams’ outburst in the US Open Final took the attention away from deserved winner Naomi Osaka. Issues about sexism and the discrepancy of treatment by officials has reared his head, cue cringe-inducing pub-talk into a topic that isn’t easy to resolve, or even initially accuse. Pity the poor empire then who had to unintentionally wade into the conversation upon having to cope with not just one but two firebrands on court this weekend. Legendary tennis player and seven time-Grand Slam singles winner John McEnroe and his near-replicant in temperament in the modern game Nick Kyrgios questioned a decision in the Laver Cup match, as the Australian was a set and a break down to Roger Federer. 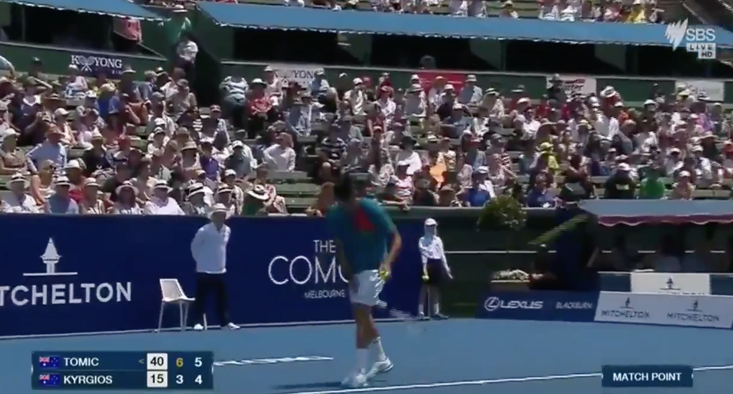 McEnroe: Was it called out? Umpire: No, it's been corrected. It's been called in so there's no reason for you to challenge. Replay the point. Kyrgios: So what are you saying then? Kyrgios: You're telling me the call came before Roger hit it? Umpire: Well, that that's what I think. 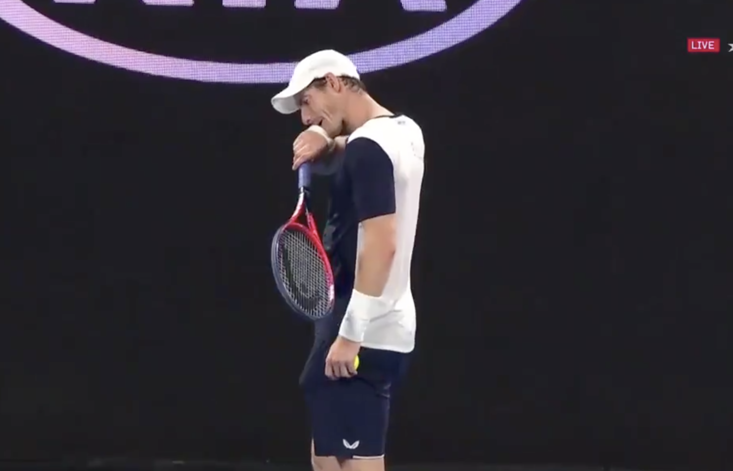 McEnroe: Wait, wait, wait. You are saying that call affected his return? McEnroe: In your opinion, you are saying that call affected his return? Umpire: There's a small chance yeah. Umpire: Thank you. We're going to replay the point. Umpire: Because that's how we do it in tennis. 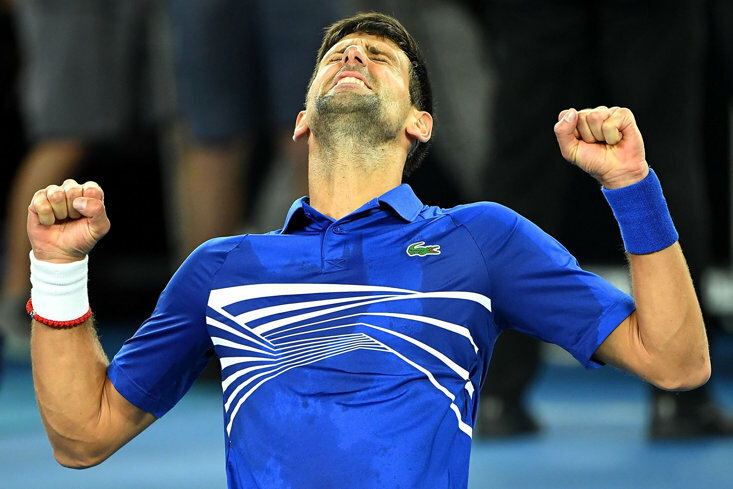 McEnroe: What chance of him getting that return back? The American great especially became more and more outraged as the conversation progressed. 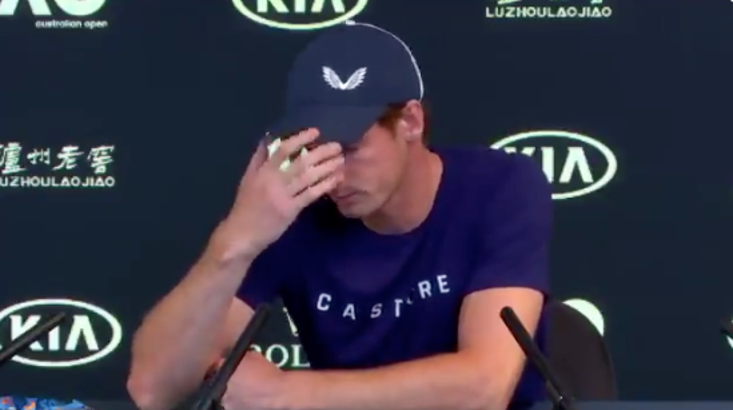 Whether this is an exercise in provocation by the two players in order to address a point in the wake of Williams’ treatment at Flushing Meadows, or sincere outrage at unfair decisions becomes yet another issue up for debate. Both men escaped punishment, aside from the replayed point. 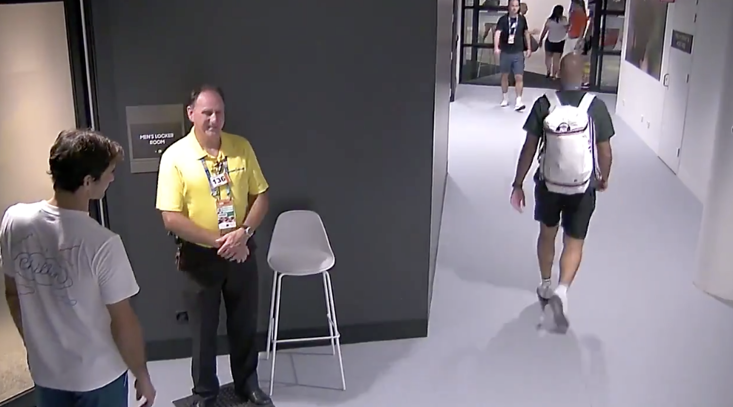 You can watch the video of McEnroe and Kyrgios going tete a tete with the umpire below. 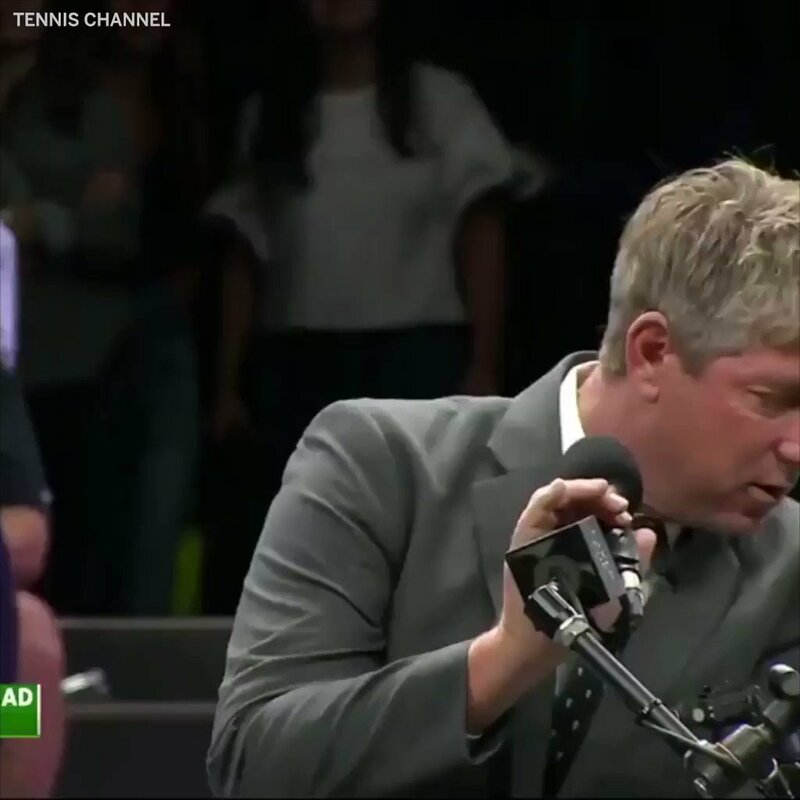 John McEnroe let the umpire have a piece of his mind.